Choose from our beautiful range of orangeries, which can be built in a traditional or contemporary style to suit your design aspirations. Our orangeries can be fully customised; choose from our portfolio of RAL colours, woodgrain foils, hardware and glazing to personalise the design of your brand-new room. Our orangeries have been built and tested to ensure lasting quality and will add a touch of essential style to your property. Orangeries can be built in a range of different styles and shapes to suit almost every property. A1 Glass and Glazing build orangeries in Brighton, Hove, Worthing, Crawley, Horsham and throughout Sussex. These are fully completed with a choice of your orangery roof, and double glazed windows and doors. Our orangeries are built bespoke for you and your home. We offer many different orangery designs which will allow you to design a brick extension of your dreams. A lean-to orangery is perfect for one-storey properties with limited space – especially as its 25° pitched roof can fit neatly under the eaves. T- or P-shaped orangeries are perfect for homes with plentiful amounts of garden space, and their two sections can work independently, or as related rooms with a joint function – for example, a dining area that flows into a lounge space. Your new room space can be built according to a contemporary or modern specification. 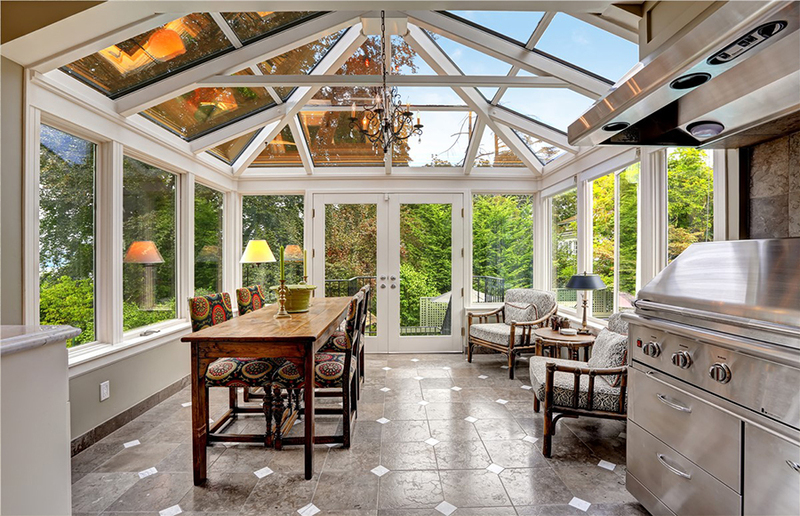 Our orangeries can feature floor-to-ceiling glass and bi-fold doors that open almost fully, resulting in a room space that feels constantly connected to the outside. To achieve a more traditional design, brick pier columns can be used interchangeably throughout the design, while French doors can be used in place of bi-folds to limit light penetration. A world of possibilities will be open to you when you choose A1 Glass and Glazing to install your new orangery. With such an extensive portfolio of double glazing products available, we’ll work with you to build a new space that’s both stunning and practical. Choose from our wide-spanning portfolio of glass, accessories, RAL colours and woodgrain foils to create an orangery that will suit the architectural style and layout of your home. Orangeries act as a buffer space between your home and the outside world. Would-be intruders seeking access will need to bypass an additional set of security systems. Because our double-glazing features market-leading hinges and locks, most attempts to gain entry to your property will be prevented. Your new orangery room will be warm and comfortable throughout the year, thanks to the thermally efficient glazing used throughout its design. During winter, your doors and windows will stop heat from escaping; at all other times, your double glazing will prevent your structure from becoming uncomfortably hot. Our orangeries won’t just make your home safer and warmer; they will add market-value to your home as well. When the time comes to sell your property, prospective buyers will be attracted to the extra space you’ve created and your orangery’s stylish appearance. Why not contact us for a free orangery quote today? 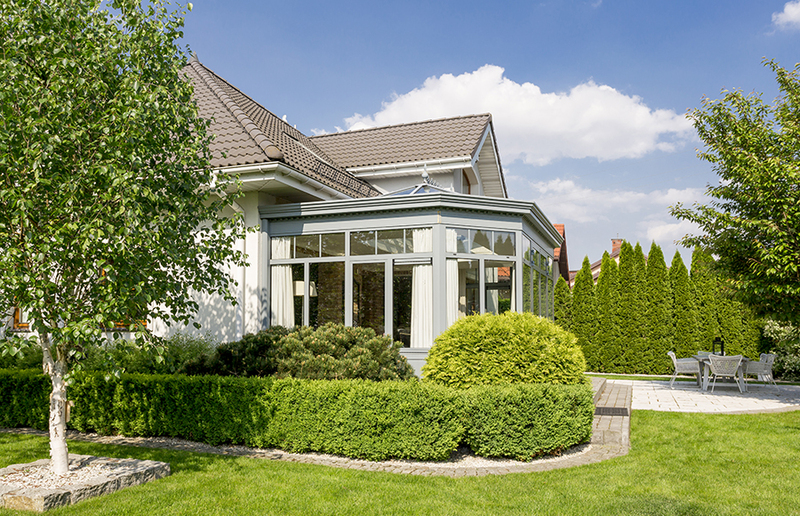 What is the difference between an orangery and conservatory? Traditionally, orangeries feature more masonry and brick pillars, which are crowned by an atrium roof or flat roof lantern. Conservatories, on the other hand, are built using a high glass-to-brick ratio, resulting in a space that is more open and will create a brighter room. The line that once separated orangeries from conservatories has blurred in recent years. An orangery can be built using more glass; similarly, a conservatory can feature extensive masonry. This gives homeowners more flexibility when looking for the most practical and cost-efficient way to create the space they need. When you contact A1 Glass and Glazing, you’ll be assured of a personal level of service. From the minute you contact us, we’ll concentrate on what’s important – designing an orangery room that looks and performs the way that you expected it to. From helping you choose the right double glazing for your new room space, through to helping you with the finer details – like choosing the right colour scheme, locks and accessories – our team will be there to offer support. We’re members of FENSA too, which means that the quality of our products and service is continually monitored to ensure it meets a high standard. If you’re embarking on a home refurbishment project, ask about our complete product range. Choose from our range of uPVC and aluminium doors and windows, which will add value to your orangery project and look good anywhere in your home. Call our team on 01273 676 750 to speak to us directly or send our team a message. Alternatively, use our free online design tool to generate a free orangery quote.